What’s the best way to roll a pie crust out? How do you keep it from shrinking in the oven? Should you use all-purpose or pastry flour? 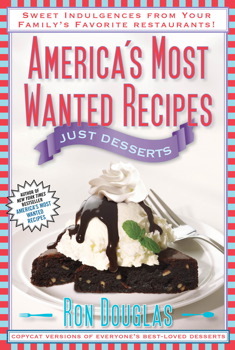 Serve your best crust yet with help from America’s Most Wanted Recipes Just Desserts, by Ron Douglas. When rolling out my pie dough, I roll it on a lightly floured plastic place mat with a wet dishcloth underneath to prevent sliding. I place a large dinner plate on top of the rolled-out dough and cut around the edges (or just pull the excess dough off). This creates the perfect size for a 9-or 10-inch pie plate. And no matter what the recipe says, I never, ever refrigerate the dough. 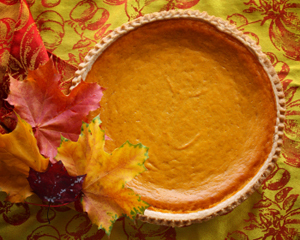 Q: How do you keep a pie shell from shrinking while baking? A: There are two conditions that will cause shrinking of an unbaked pie shell during baking: too much gluten in the flour and too much water in the water-to-shortening ratio. As the shell bakes, the gluten tends to tighten and pull the shell together. Also as the shell bakes, water evaporates and causes shrinkage. 1. Use a low-protein flour. It’s the proteins that form the gluten. An all-purpose flour will work, but pastry flour is better. 2. Don’t work the dough too much. Working the dough develops the gluten. 3. After you have rolled the dough, let it sit for 5 minutes. That gives the gluten a chance to relax. 4. Check your water-to-shortening ratio. The shortening will inhibit gluten development and will not evaporate and cause shrinking as water does. 5. Don’t stretch the dough to fit the pan. Stretched dough tends to have a memory and slips back into the original shape during baking. 6. Use pie weights. You can buy pie weights at RecipeSecrets.net or in specialty shops. More than a million home chefs across the country have enjoyed America’s Most Wanted Recipes, More of America’s Most Wanted Recipes, and America’s Most Wanted Recipes Without the Guilt, in which author Ron Douglas uncovers the best of the best recipes from hundreds of popular restaurants, including Applebee’s, Arby’s, Baskin- Robbins, The Cheesecake Factory, Chili’s, IHOP, and more. Just Desserts will cover what Ron’s rapidly growing fan base craves: inexpensive, easy, and delicious dishes that the whole family can enjoy. Perfect for satisfying sweet tooths—at home and minus the cost of eating out. Holidays, birthday parties, and impromptu dinner parties will be even more fun to prepare and more memorable. Sweet!